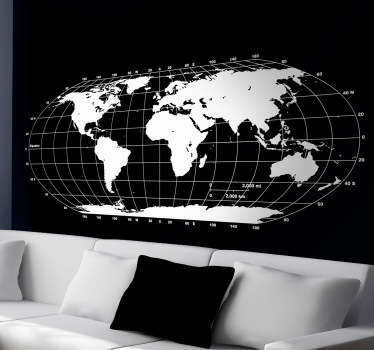 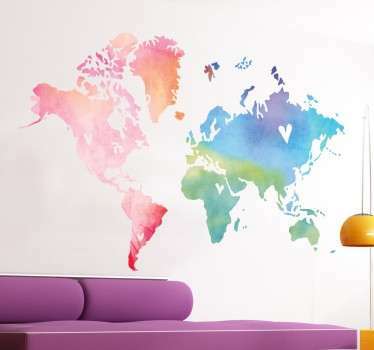 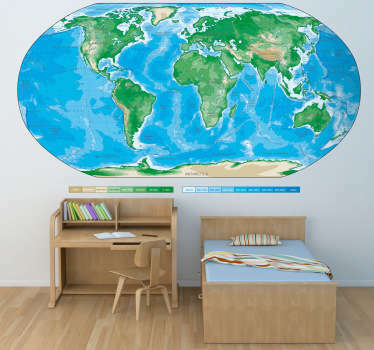 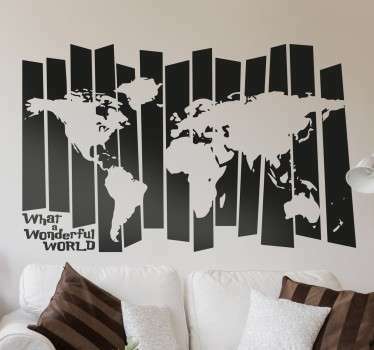 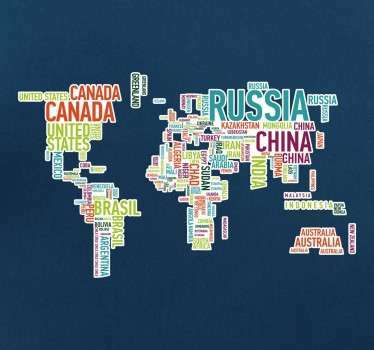 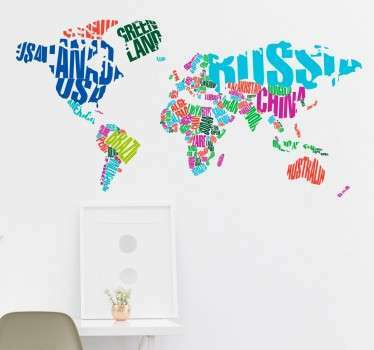 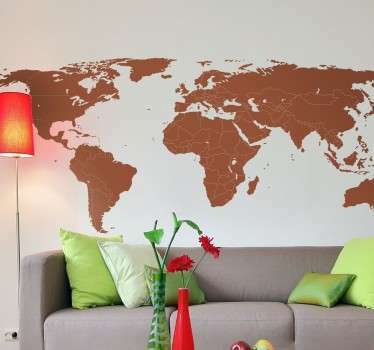 It is easy to make a world map wall sticker, but it is not easy to depict the world map in such different ways. 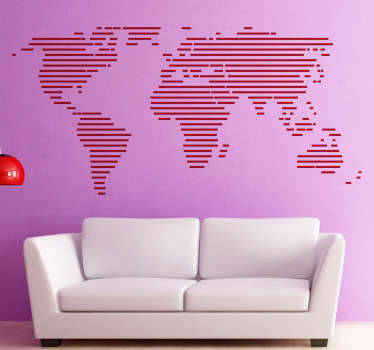 Well, we at Tenstickers have solved that problem by putting it to one of the most talented teams of designers on the market today! 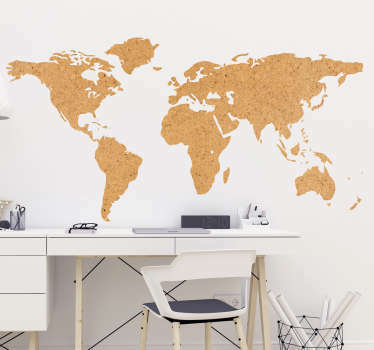 They have worked their fingers to the bone and produced over 100 world map stickers, each very different! 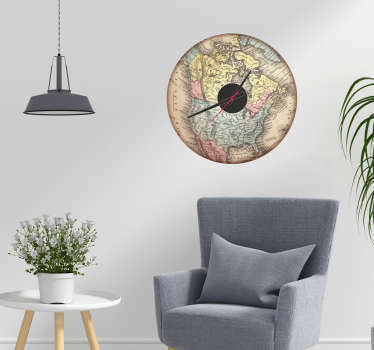 The variety on show is incredible, whether you are a child, looking for something fun with which to decorate your bedroom, or an adult, looking for something classy with which to furnish your wall. 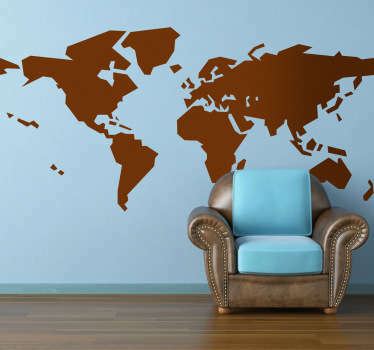 And there´s more - We even have a fantastic collection of world map laptop decals, so you can take the world with you everywhere you go! 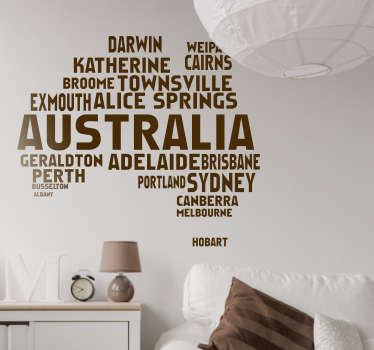 We have geometric styles, pop art styles, text art styles and just about everything else! 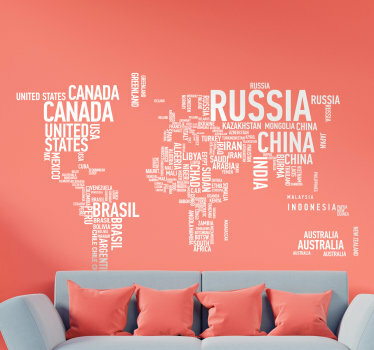 And the fun doesn´t end there - if you wish to only decorate your home with a portion of a certain continent or country, we are still here to help you out with our regional map decals! 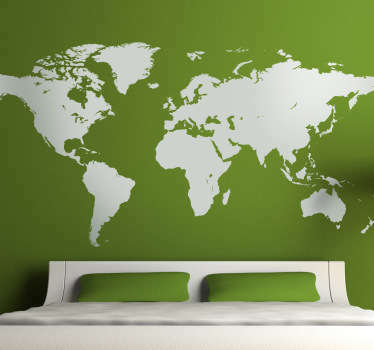 And the customisation options are also absolutely stunning. 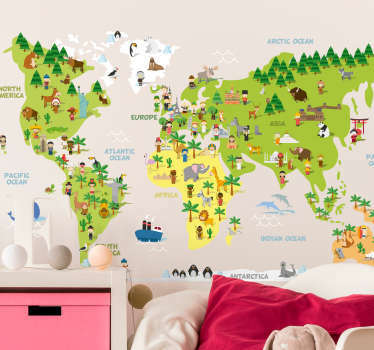 If you see a map sticker you absolutely love but need to change slightly - That´s fine! 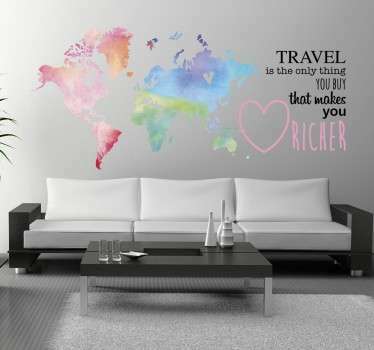 We would love to do that for you and would happily make any changes necessary. 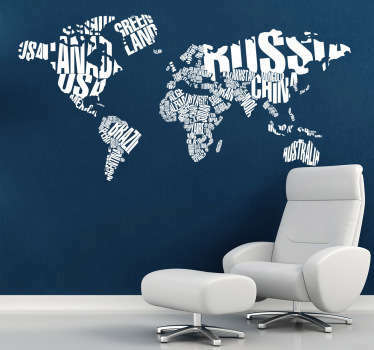 Alternatively, we will also be happy to work with you to design your very own world map sticker, so that it truly is absolutely perfect for you! 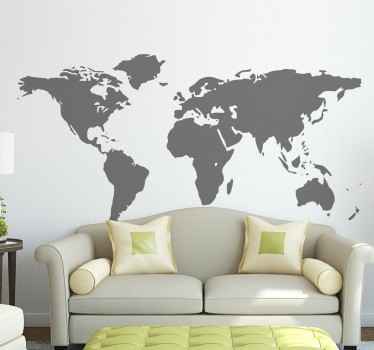 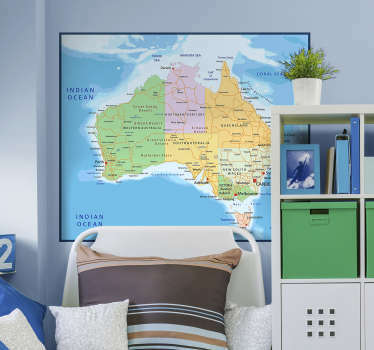 Oh, and the guaranteed sticker quality is always there, which just makes these world map wall stickers even more appealing!